Just to say that in the "Categories" toolbar there are no icons. runing on ubuntu 14.04 64 bit. The wiki does not have any pictures of the new toolbars / dockwidgets. The customizable sidebar (or the custom toolbar) is for people that want to work with icons. I mean this picture from same page. 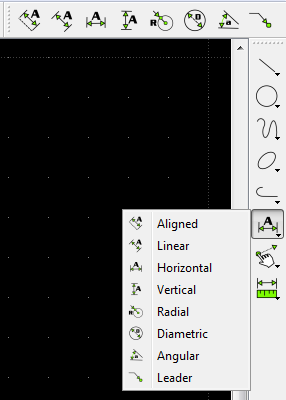 I have text Aligned, Linear, .... but no icons on left. therefore, I'm guessing that it uses a native Windows menu, which is different from ubuntu's. Do you see icons in the File menu, or any other menu?